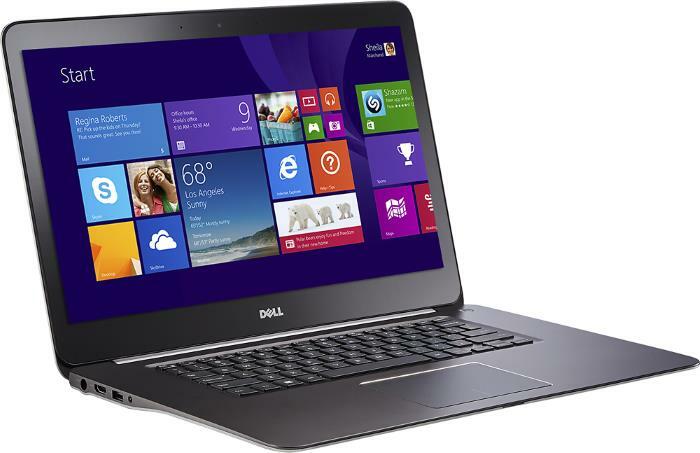 The Dell Inspiron 15 7548 is the latest refresh of the Inspiron 7000 higher-end notebook series. This 15.6-inch laptop packs good performance in a slim aluminum housing and provides high-resolution display options. As the main differences over the previous 7000 generation, the 7548 brings to the table new Intel processors from the Broadwell family and Ultra HD 3840×2160 display resolution alongside Full HD 1920×1080 option. The available CPU choices are the 5th Generation Intel Core Broadwell i5-5200U and i7-5500U, with upper-mid range computing performance and Intel HD 5500 integrated graphics for gaming on basic detail and resolution settings. If you want smoother gameplay, you can opt for the AMD Radeon R7 M270 4GB dedicated video card. It is however still a low-end discrete GPU solution. The notebook has two system memory slots, thus it supports up to 16GB RAM. As for storage, it provides 1-Terabyte of hard drive capacity or a 256GB solid state drive, depending on configuration. A DVD optical drive is missing. The screen supports touch input and is backed by IPS technology, so wide viewing angles are ensured. The keyboard consists of chiclet style keys with backlight. 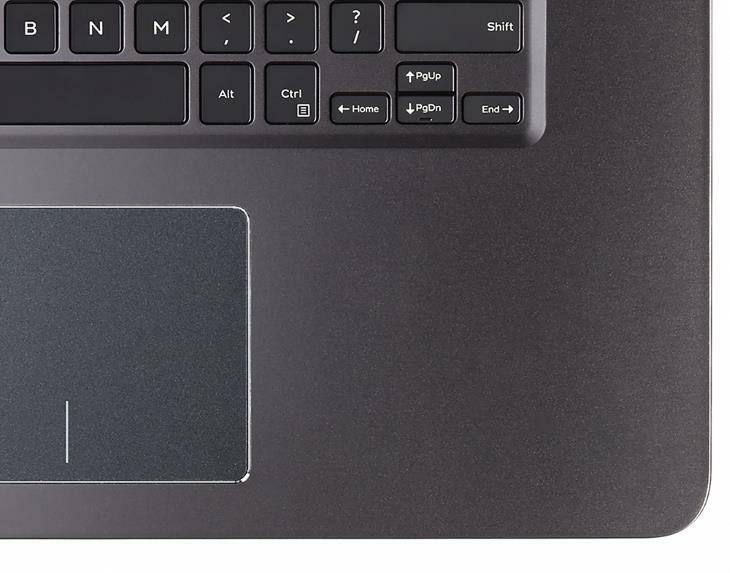 A dedicated numeric pad has been omitted, but on the positive side the main part of the keyboard and touchpad are perfectly centered on the base of the notebook. Dell’s Inspiron 15 7548 features a 1.3-megapixel 720p webcam, stereo speakers, 802.11AC Wi-Fi wireless, Bluetooth, two USB 3.0 and one USB 2.0 port, HDMI video output, a media card reader, and an audio combo jack, and optional Intel Wireless Display technology. The laptop incorporates a either a 3-cell 43 WHr or higher-capacity 4‑cell 56 WHr battery. We have no info on battery life. The Dell 7548 measures 0.8″ in profile and weighs in at 4.8 pounds. Overall, the 7548 is a well-equipped all-purpose laptop PC. Even the cheapest configuration ($650) offers good performance and a sharp picture on the display. When you add the attractive aluminum design to the mix, the latest Inspiron 7000 iteration is one of the best buying choices in the mainstream notebook category.